4:00 pm - Our Family Focused Christmas Eve Worship which includes Childcare will be an interactive telling of the Christmas Story, along with many of your favorite Christmas Carols, the celebration of Holy Communion, and glow sticks for the Candlelight portion of worship as we close with the singing of Silent Night. Even though this worship time is designed more for the younger folks among us it's still a worship that will speak to us all the message of Christmas! 7:00 pm - Our Traditional Candlelight Christmas Eve Worship will reflect on the gift of Christ through scripture and carols. 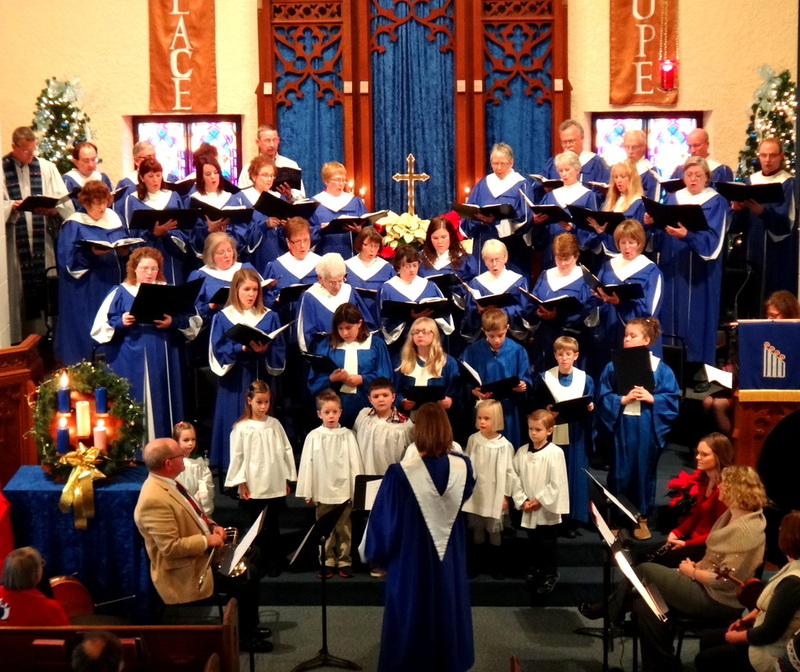 Our Voices of Praise choir will bless us in song as we remember the wonderful events in Bethlehem so long ago. We will also celebrate Holy Communion and close with the singing of Silent Light to the light of the candles in our hands. 10:00 pm - Our Twilight Candlelight Chrismas Eve Worship Through candlelight and carols, we will recall the birth of Jesus. we'll celebrate Holy Communion and close by singing Silent Night, lit only by candles. This is a wonderful time of worship and a wonderful way to usher in Christmas Day! to allow our Childcare Staff to spend Christmas Eve with their children!